Tampa, Florida: Climate change is already hurting the global economy and will cost the US hundreds of billions of dollars annually unless drastic action is taken to cut carbon emissions, a major US government report warned on Friday. 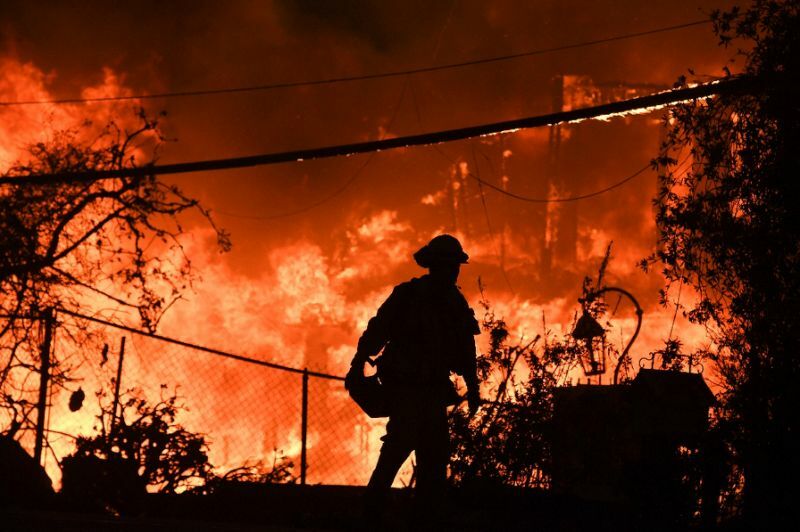 "Without substantial and sustained global mitigation and regional adaptation efforts, climate change is expected to cause growing losses to American infrastructure and property and impede the rate of economic growth over this century," said the Fourth National Climate Assessment, Volume II, a congressionally mandated report that spans more than 1,000 pages. "The impacts of climate change beyond our borders are expected to increasingly affect our trade and economy, including import and export prices and US businesses with overseas operations and supply chains." US President Donald Trump dismissed last year's report, and just this week appeared to confuse weather with climate change when he tweeted: "Brutal and Extended Cold Blast could shatter ALL RECORDS - Whatever happened to Global Warming?" In Geneva, a top U.N. scientist shrugged off the online quip from US President Donald Trump that questioned global warming, saying the US government report will show the "fundamental impacts of climate change on the U.S. continent." Officials at the World Meteorological Organisation (WMO) also said environmentally-minded efforts by the state of California, in parts of the financial sector, among grassroots activists and others will have more of an impact to help the fight against climate change than "political disturbance" and "discourse" will impede it. Some of that science came on Friday in a new US federal climate change assessment report, from agencies including the National Oceanic and Atmospheric Administration and the Department of Energy. "It's very interesting what you will see (Friday)," said Pavel Kabat, WMO's chief scientist. "That is a major report coming supported by all agencies ... under the administration of President Trump ranging from NOAA to NASA, from NASA to DOE, showing the fundamental impacts of climate change on the U. continent." Kabat was speaking at a news conference to present WMO's latest greenhouse gas bulletin, which said levels in the atmosphere climbed to a record last year. In a statement, WMO secretary-general Petteri Taalas warned "the window of opportunity" to act against climate change has nearly closed. The findings come ahead of next month's meeting of world leaders in Katowice, Poland, for the annual global climate summit where they hope to find ways to implement the 2015 Paris climate accord that aims to keep global warming at 1.5 degrees Celsius. "By hiding what they knew and misrepresenting the dangers of unabated fossil fuel use, the fossil fuel industry and supportive governments protected their high-emissions profits and obstructed the changes needed to prevent or at least minimize the impacts of climate change," he told a 'virtual' summit of nations that are vulnerable to climate change. WMO's Taalas said the last time Earth had such high levels of carbon dioxide concentration was 3-5 million years ago. Without cuts in greenhouse gases, Taalas said, "climate change will have increasingly destructive and irreversible impacts on life on Earth."